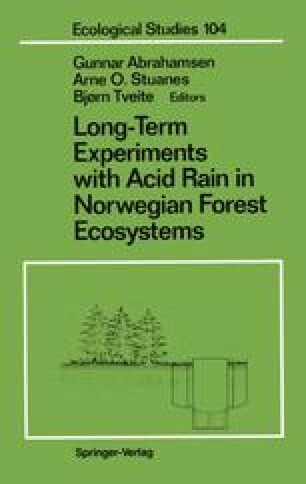 The first known report on long-distance transport of air pollutants to Norway is from 1881. In an area of southernmost Norway, newly fallen snow had a greyish color which appeared to be due to soot particles probably emitted from British industry (Br. 1881). However, it was not until the last part of the 1950s that Norwegian scientists recognized longdistance transport of air pollutants as a growing environmental problem (Dannevig 1959). During winter storms whose air masses had passed over Britain and other countries in the northern parts of central Europe, snow falling in Norway was often colored grey by soot particles emitted from the heavily industrialized countries. The polluted snow also appeared to be more acidic than unpolluted precipitation, and pH analyses showed that the acidity of precipitation and the deposition of strong acids from the atmosphere had increased from the 1950s to the 1970s (CLRTAP 1989).